The Internet and new technologies have changed the way we think, and they are also a new source of business in itself, which opens up thousands of possibilities and scenarios (future and present) also for economic activity. The revolution of the business world is already happening. 1.The amount of data transmissible by the optical fiber is doubled every nine months. The number of transistors on an integrated circuit continues to double every two years. Storage density doubles every thirteen months. 2. Smartphones are the fastest-adopted technology in history.Broadband internet access within the G-20 has grown from 800 million (of which 50% is mobile broadband) in 2010 to 27 billion (of which 80% is mobile) in 2015. There are between 1,000 And 2 billion more people in the world who have a mobile phone than those who have a bank account … or a toilet. Smartphone sales in 2013 reached 1 billion units (66% more than in 2012). 3. Facebook has 1.3 billion active users, 64% of whom visit the portal daily. Every day there are 45,000 million new “I like.” Each year, half a billion photos are uploaded to the Internet, and YouTube a hundred hours of video per minute. Read also: How does the digital variable data printing? 4. The number of IP sensors will exceed 50 billion in 2020. Radio frequency identification cards (RFID) cost only five cents today. The calculations vary, but between 2017 and 2025 the total number of sensors in the world is expected to range from one to ten billion. 5. 90% of the data stored in the world was generated in the last two years. Of these, 99% is already digitized and more than half enabled for IP, which means that technically can be uploaded and disseminated on the internet. Potentially, half the world’s knowledge is stored in a single document. 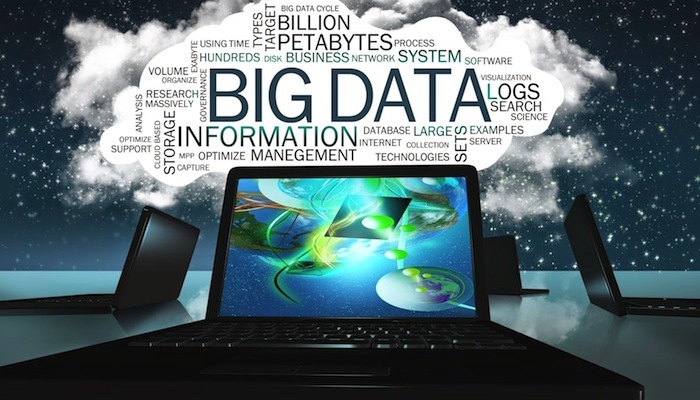 Is the company learning to manage the big data or are we still fascinated with the figures? Find out more in the full article by Philip Evans.